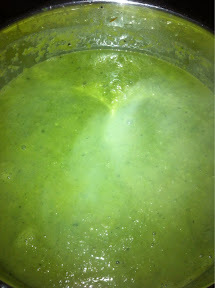 I’ve been wanting to make a pea soup for a while. I love the colour. 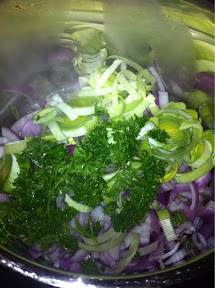 Sweat the onions, parsley and leek with butter in a large pot. Cut the Kumara, and add with all the ingredients except the peas. 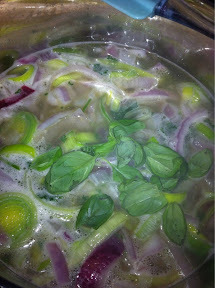 Boil on a low heat until the Kumara is soft. 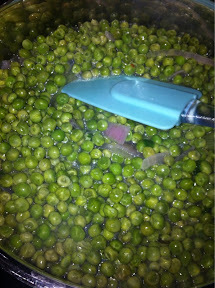 Allow the peas to defrost and drain excess water. Add to the soup. Return to the boil. When peas are soft, blitz with a blender. Season with salt and pepper.